This committee studied how the colonies might join together and submitted its proposal to Congress in the summer of 1777. The plan was discussed and revised and formally adopted by Congress on November 15, 1777. It is known as the Articles of Confederation. This did not make the Articles law, though. Each state had to individually choose whether or not it wanted to be a part of this new union. Because of the long lasting Revolutionary War and other issues, the final state, Maryland, did not ratify the Articles of Confederation until March 1, 1781. This is the date the thirteen states formally became one nation for the first time. Part of the reason that it took so long for the states to ratify the Articles of Confederation was the huge fear that the American population had of giving up their local rights to a new national government. They were fighting a war to save themselves from a tyrannical government. They wanted to be sure that they did not create a new one in its place. One of the main arguments at this time was a states' rights vs. national rights argument. That is, which rights would be given up to the federal government and which rights would the states retain for themselves? Most people wanted most rights to stay in the hands of local people, not in the hands of a far away central government. Remember that each state was a sovereign nation at this point. In creating a new government over them, they would be surrendering certain of their powers to the new government. The Founders wanted the central government to have very limited powers and the Articles of Confederation did just that. In fact, the government proved to be so weak that it could barely function. It had no power to collect taxes or force the delegates to attend. That's why they later dissolved this government and created the Constitution of the United States in its place. The Constitution still strictly limited what the federal government could do, but with enough power, this time, to sustain itself. That is the document that our government is still organized around. You can read the Articles of Confederation here and you can read the United States Constitution here. 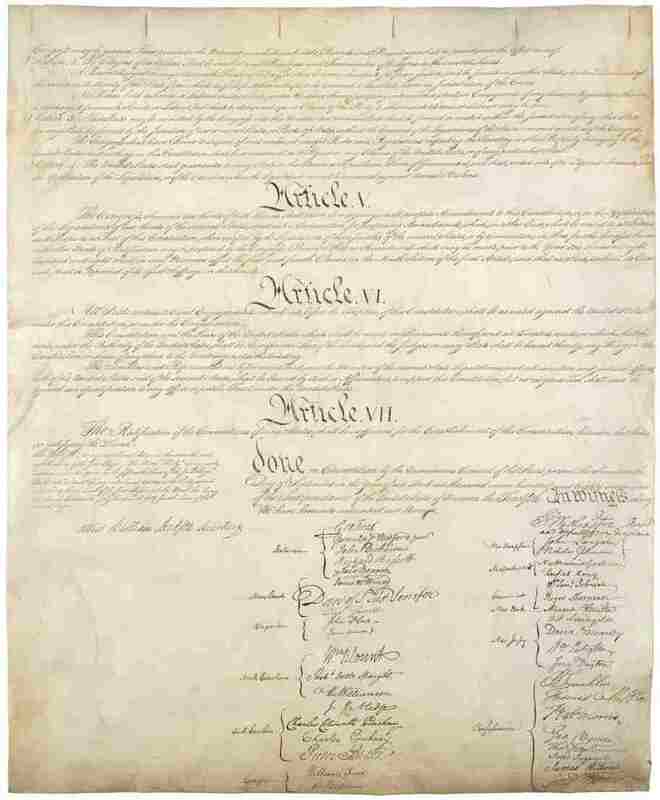 After the Constitution was written in 1789, the States had to ratify it for it to become law. There was much discussion about the merits and weaknesses of the Constitution. Again, the States' rights issue came up. Many people were very concerned that the Constitution took away too much power from the States. The Federalist party wanted to have a strong central government so it would have enough power to actually do things, unlike the government under the Articles of Confederation. George Washington, James Madison, Alexander Hamilton and John Adams were Federalists. The Anti-Federalist party wanted more power to stay with the states to purposefully weaken the central government. Thomas Jefferson, Patrick Henry and George Mason were Anti-Federalists. The Anti-Federalists believed the Constitution did not spell out specifically that certain natural rights of the people would be protected from intrusion by the government - rights such as freedom of speech, freedom of religion and freedom from cruel and unusual punishment. 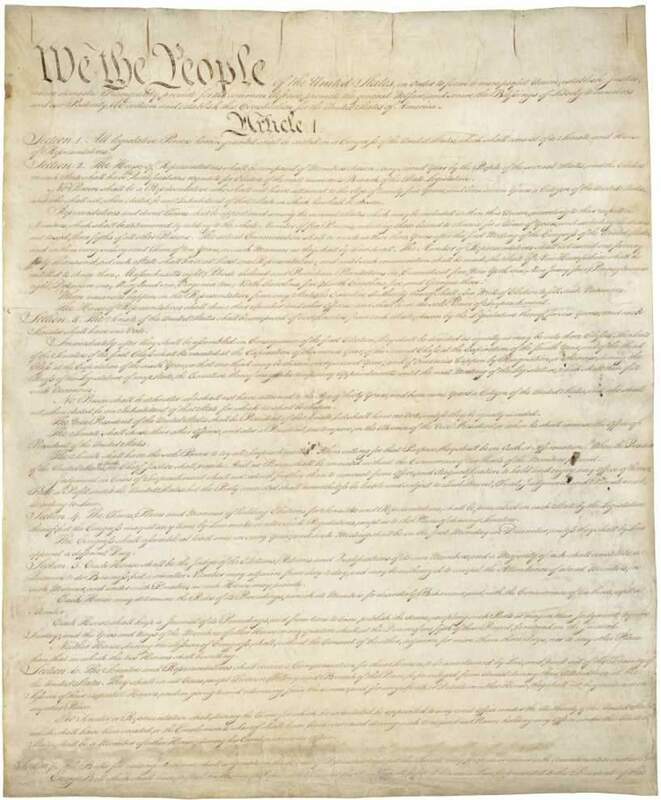 They wanted these things specifically added to the Constitution. This means that just because a right is not mentioned doesn't mean that it isn't protected from intrusion by the government. So, they are saying that there are natural rights that every human being has, which are too many to list. The government cannot meddle in any those rights, even if they're not specifically mentioned. Ratification of the Constitution had fallen into jeopardy. 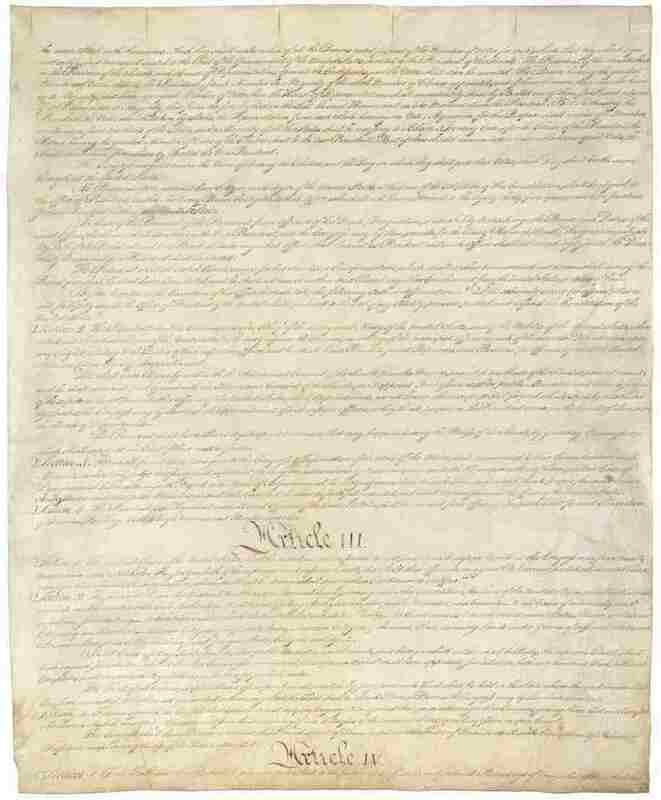 It was unclear whether or not enough states would choose to ratify it based on this issue of not wanting to make the federal government too powerful and protecting basic natural rights. 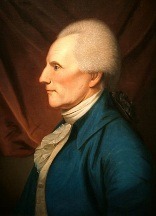 The Federalists in the State of Massachusetts came up with the solution, which is known as the Massachusetts Compromise. 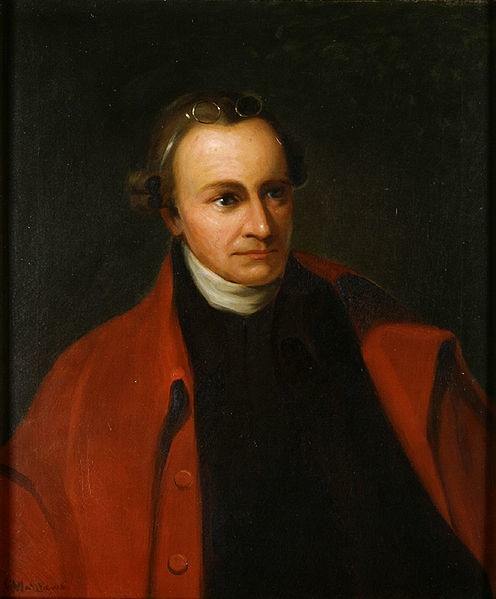 They suggested that if the Anti-Federalists would go ahead and vote yes to ratify the Constitution, that they would send a list of proposed amendments to to the First Congress, who could then discuss which amendments to add. This proposal persuaded the Anti-federalists all over the country and the remaining states voted to ratify. The new government began its operations on March 4, 1789. 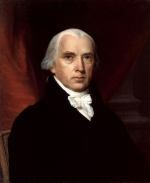 On June 8, James Madison proposed a list of about twenty amendments, which he had carefully chosen from the list of amendments submitted by the states. One of these was, of course, what became the 10th Amendment. The Congress voted to accept twelve of these amendments on September 25. They passed them on to the states and with Virginia's vote for ratification, ten of these twelve amendments became law on December 15, 1791. These first ten amendments are today known as the Bill of Rights. You can read more about the history of the Bill of Rights here. It should be noted that the language of the 10th Amendment is very similar to the wording of the article in the Articles of Confederation dealing with the same subject. So this idea of reserving to the states any power that was not specifically delegated to the federal government, had remained an important issue to the Founders for many years. The 10th Amendment was rarely referred to in any court cases for the first 150 years after it was adopted. In the early days of the country, everyone alive had first hand memories of what it was like to live under a tyrannical government, including the newly elected officials. They were not interested in creating another tyranny. This all changed in the last seventy to eighty years, starting with President Franklin D. Roosevelt's "New Deal" programs. The Great Depression had stalled the US economy. Many people had lost their jobs and many could not find employment at all. With President Roosevelt at the lead, Congress created many new programs designed to get the economy rolling again. Many people became employees of the Federal government through its many new work programs around the country. Because of the hard times, people were looking for hope and they began to look to the government to play a bigger role in their lives than it had before. The government consequently stepped in and began to take that bigger role. Americans left behind the 10th Amendment's idea of a limited role for government. Today the government regulates agriculture, the manufacturing industry, labor unions and many things that used to be controlled by the states. It has done so primarily through the use of three distinct clauses of the Constitution - the Commerce Clause, the Taxing and Spending Clause and the Necessary and Proper Clause. All of these things are found in the Constitution's Article I, Section 8, which defines the powers of Congress. You can read Article I, Section 8 of the Constitution here. 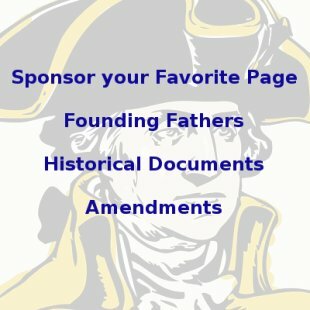 The Commerce Clause - "The Congress shall have power... To regulate Commerce with foreign nations, and among the several States, and with the Indian Tribes." This clause says Congress can regulate interstate and foreign commerce. The Congress today, though, regulates many forms of commerce that are only intrastate, meaning only within state lines. Why? The Supreme Court has allowed it, and so have the people. The Taxing and Spending Clause - "The Congress shall have Power To lay and collect Taxes, Duties, Imposts and Excises, to pay the Debts and provide for the common Defence and general Welfare of the United States; but all Duties, Imposts and Excises shall be uniform throughout the United States." This clause gives Congress power to tax the people and then use the taxes in the way Congress sees fit. Often the Congress controls the states by putting stipulations on any money that it might give to the states. For example, the national legal drinking age of 21 was imposed on the states by the Federal government by withholding highway construction funds from any state that would not comply with Congress' wishes to have the legal drinking age fixed at 21. 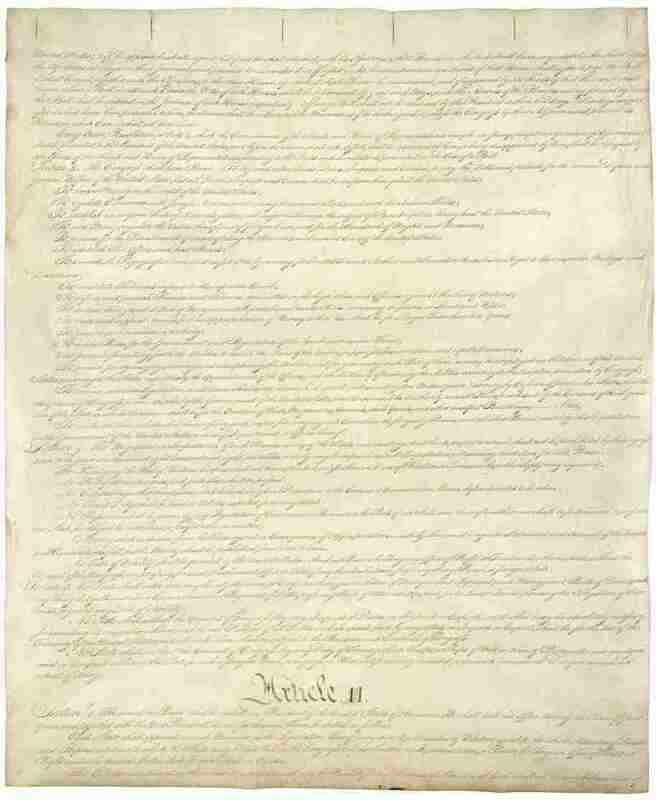 The Necessary and Proper Clause - "The Congress shall have power... To make all Laws which shall be necessary and proper for carrying into Execution the foregoing Powers, and all other Powers vested by this Constitution in the Government of the United States, or in any Department or Officer thereof." This clause gives Congress power to make any new laws that are "necessary and proper" for it to carry out its business. 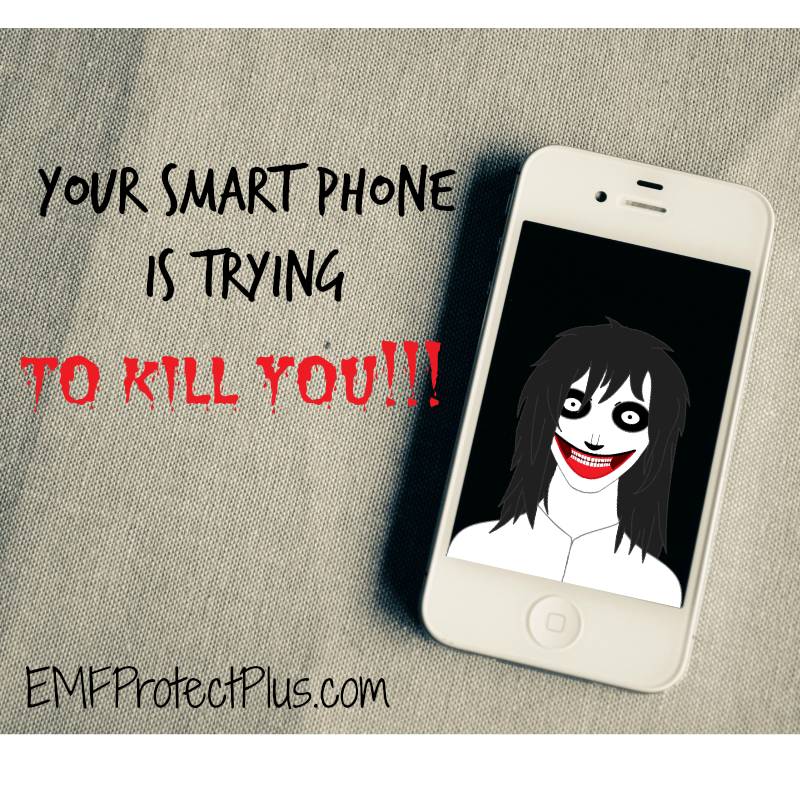 This is often used as a carte blanche by Congress to delve into anything it wants to. The Supreme Court has unfortunately gone along with this, as have the American people, and allowed Congress to take a much greater degree of control in their lives than was intended by the founders. "The powers delegated by the proposed Constitution to the Federal Government are few and defined. Those which are to remain in the State Governments are numerous and indefinite. The former will be exercised principally on external objects, as war, peace negotiation, and foreign commerce;... The powers reserved to the several states will extend to all the objects, which, in the ordinary course of affairs, concern the lives, liberties and properties of the people, and the internal order, improvement, and prosperity of the state." The Articles of Confederation and the Constitution both had clauses defining what was a federal power and what was a state power, but there was one significant difference. 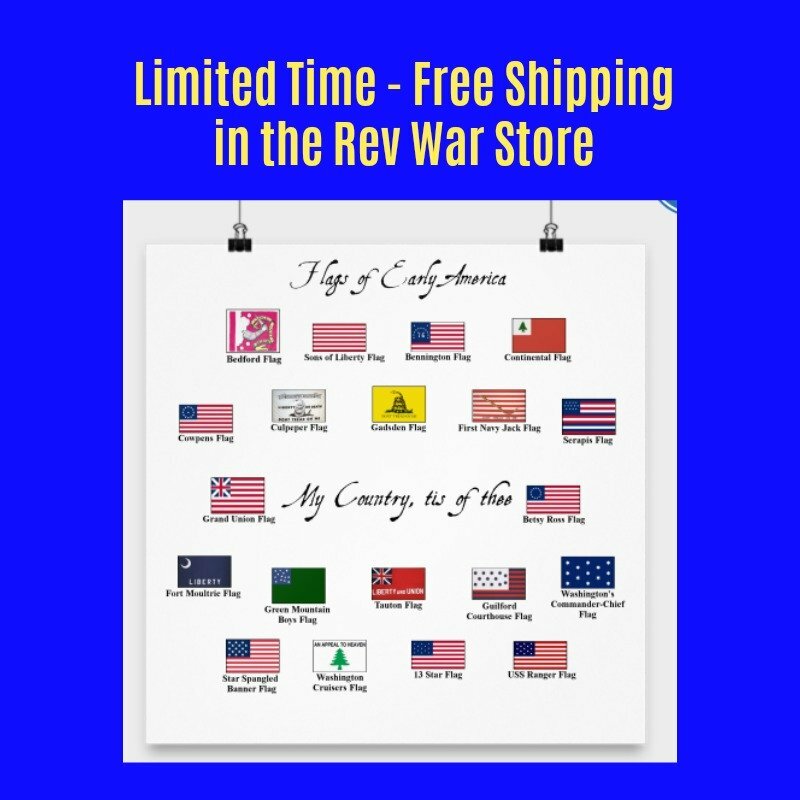 The Articles of Confederation had said, "Each state retains its sovereignty, freedom, and independence, and every power, jurisdiction, and right, which is not by this Confederation expressly delegated to the United States, in Congress assembled." The Constitution, in the Necessary and Proper Clause, said, "The Congress shall have power... To make all Laws which shall be necessary and proper for carrying into Execution the foregoing Powers." This clause gives Congress the power to make laws about things that are not specifically mentioned in the Constitution. The Founders who wrote the Constitution left out the idea from the Articles that the Congress' duties were defined by those things expressly written in the Constitution. 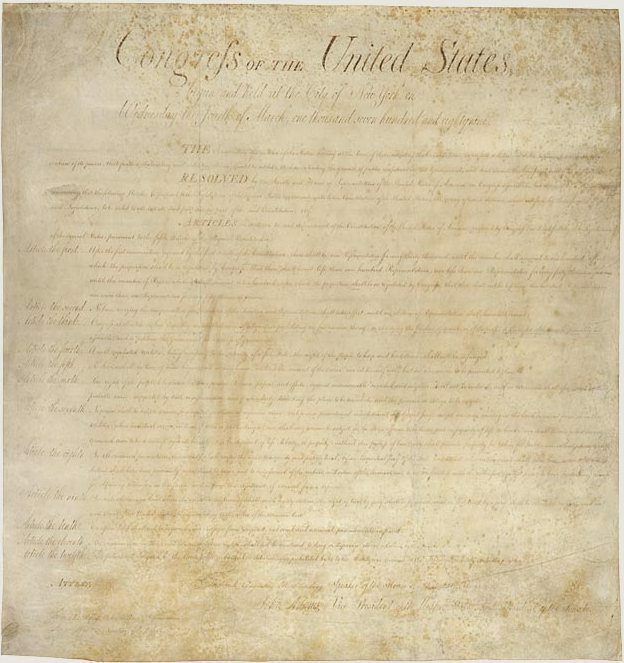 Likewise, when the First Congress wrote the Bill of Rights, they said in the 10th Amendment that, "The powers not delegated to the United States by the Constitution, nor prohibited by it to the States, are reserved to the States respectively, or to the people." Again, they left out the word expressly. If they had said, "The powers expressly delegated to the US by the Constitution..." they would have amended the Necessary and Proper Clause, but they didn't. So, apparently, they were anticipating the idea that some issues might come up, that were unforeseen, that Congress would need to regulate and they wanted to give Congress the authority to do it. Was this a mistake? Did the Necessary and Proper Clause conflict with the 10th Amendment? Should the founders have only given Congress expressly written powers? If they had, maybe it would not have been so easy for Congress to take so much power from the states. In a 1942 case called Wickard vs. Filburn, the Supreme Court ruled that the Congress could regulate wheat production on a family farm that was intended for use strictly on that farm, such as for personal consumption or animal fodder. The Court's reasoning was this: Congress mandated production quotas on wheat farmers to regulate the price and keep it steady. It did this under authority of the Commerce Clause which gave it permission to regulate interstate trade. Of course, a lot of wheat crosses state lines. 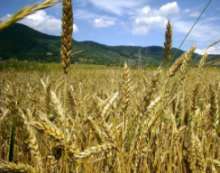 If an individual would produce a substantial amount of wheat on his own farm and use it for himself, he would not be buying wheat on the market for his own use, or selling the wheat he grew on the market. Both of these things would affect the price of wheat on the market, and therefore, Congress had the authority to regulate it. A 1985 case called Garcia vs. San Antonio Metropolitan Transit Authority posed the question of whether or not the State of Texas could be forced to pay its employees according to Federal minimum wage guidelines. The state argued that this was a state matter that the Federal government had no jurisdiction over. The Court disagreed and said that the guidelines were not "destructive of state sovereignty or violative of any constitutional provision" so they were not in violation of the 10th Amendment. In South Dakota vs. Dole, 1987, the Supreme Court allowed the Federal government to dictate the legal drinking age to the states. It did so through the Taxing and Spending Clause. The Federal government had passed a law suspending 10% of highway funds from any state that refused to pass a law setting the legal drinking age at 21. South Dakota sued the Federal government, naming Elizabeth Dole as the defendant because she was then the Secretary of Transportation. The condition must promote "the general welfare;"
Other constitutional provisions may supersede conditional grants. The 10th Amendment bars the Federal government from taking powers away from the States that are reserved to them. In requiring that guidelines be met, such as setting the drinking age, the Congress has not forced the state to do anything, only to suggest it. By this reasoning Congress has persuaded the States to change many of their laws to match whatever the Congress wishes. In recent years, the Court has used the 10th Amendment to prevent the Federal government from usurping State power in only one type of case - cases where the government's activity would commandeer the use of state resources to further its own purposes. 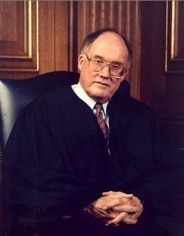 For example, in New York vs. United States, 1992, the Court prevented the Congress from requiring the States to take title to certain hazardous radioactive waste materials and be liable for any claims related to the waste, if the state did not follow Congress' guidelines regarding how to dispose of them. The Court ruled that the Congress had no constitutional authority to force the state to do this according to the 10th Amendment, which barred the Federal government from taking away powers of the State. In other words, the Congress could not dictate what the state did with its money or employees or resources. Forcing the state to take control of this waste would have done just that. In another case, called Printz vs. United States, 1997, the Supreme Court ruled that the Congress could not force the States to conduct criminal background checks on gun purchasers. This would have forced the state to use its own resources to accomplish the Federal mandate. This was also barred by the 10th Amendment. Most cases in recent years have affirmed Congressional power based on the three clauses mentioned above. However, in 1995, the United States vs. Lopez case, was an exception. In this case the Supreme Court ruled that the Gun-Free School Zones Act of 1990, which forbade people from bringing guns into zones around schools, was unconstitutional because Congress had exceeded its authority granted in the Commerce Clause. Their reasoning was that the Commerce Clause gives Congress authority to regulate interstate commerce and not the region directly around local schools. The government contended that it had the right to regulate in this case because gun trade is an interstate activity, but the Court ruled that this was not an economic issue and that the law was, therefore, a violation of the 10th Amendment.